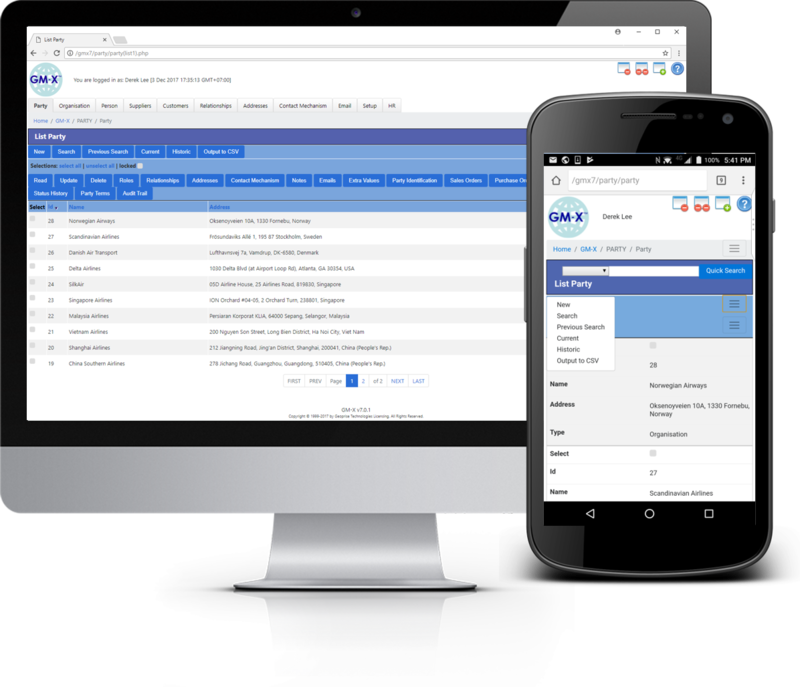 The GM-X Party subsystem provides data management, collaboration and social capabilities for organizations, customers, suppliers, distributors, employees and contractors. For businesses conducting external operations, traditional ERP, accounting, customer relationship management (CRM) and supplier relationship management (SRM) applications are not fit for purpose because they keep organizations, customers, suppliers, distributors and contractors in separate domains. The GM-X party data management architecture captures and clarifies the cross-domain relationships necessary for conducting external operations efficiently.